Not a lot of news this week. 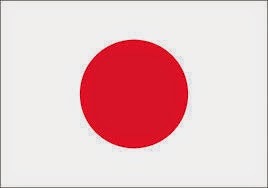 Either we're getting used to Japan or it was just a more "normalna" week (as our Russian speaking friends would say). We did have Mission Leadership Council this week. The sun came out and the wind stopped long enough to get a pretty good photo. But I really like this one when they were getting ready to pose. Trying to look like they're not freezing! President Smith is ready though! I spent some time with Shitami Shimai who had an appointment at the hospital for a consultation. Her appointment was at 10:30. After we waited for a while, she went and asked how long it would be. "Two hours!" What? Why didn't they just tell us to come at 12:30? Finally they called her name and she went to the nurse's counter. They gave her a print out of her test results --- and we were done! So, I was glad I had brought some reading material along. 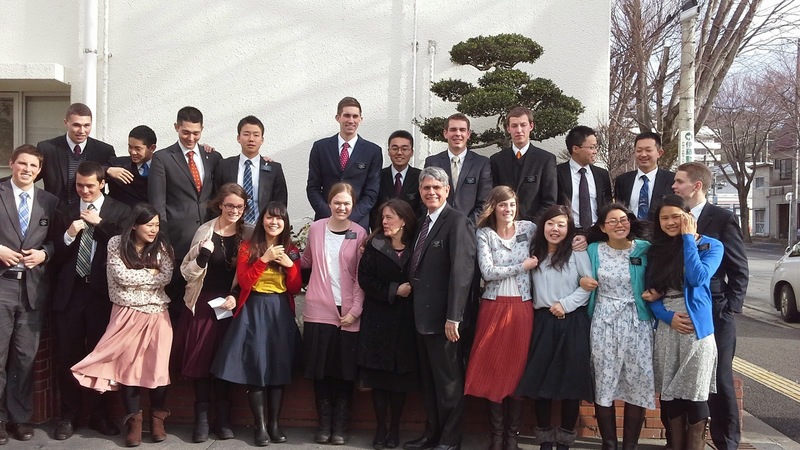 Thursday was our first time back to Kakuda since the first of the year. It was nice to see our friends again. They have to have a proficiency test in a couple of weeks to see if they're making enough progress to warrant the time away from their regular work. They're supposed to show an improvement of at least 10%. We'll see. My group talked about weather terms. Like being "snowed under" or "under the weather" "raining cats and dogs". I'm not sure if any of that's going to be on their test though! 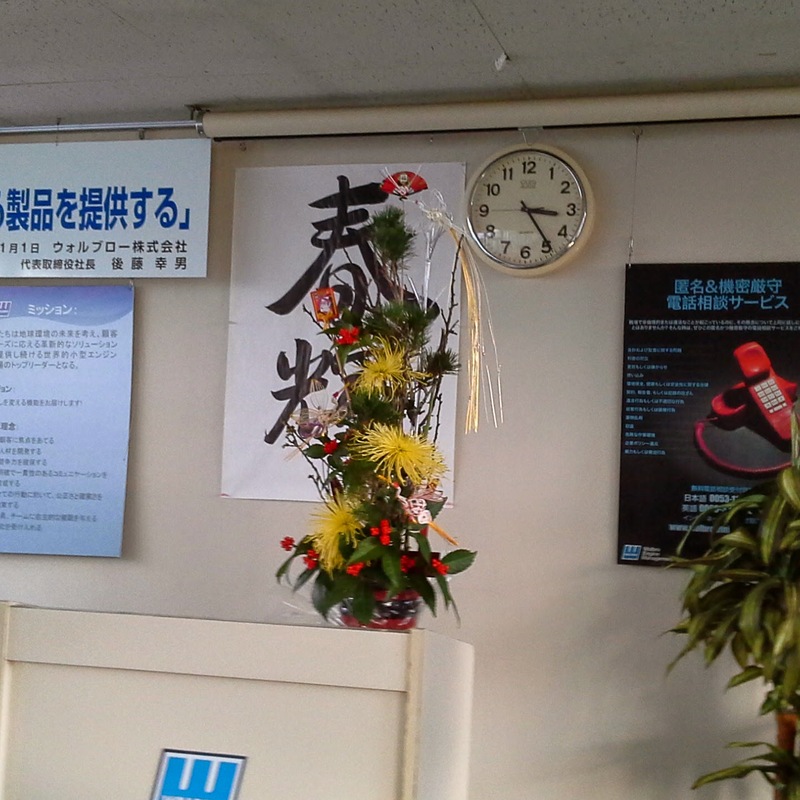 This is the New Year's flower arrangement at the factory. One of the students explained that there are "good luck" symbols on it for the coming year. He said cranes and turtle are good luck. There are three cranes among the flowers. It has pine boughs to symbolize growth and good luck. We're going to have refreshments for the next Family Home Evening. When we were at the market the other day, we saw this big bag of 8 carrots for only 300 Y. So we thought we could make carrot cake. Did I mention that these are BIG carrots? 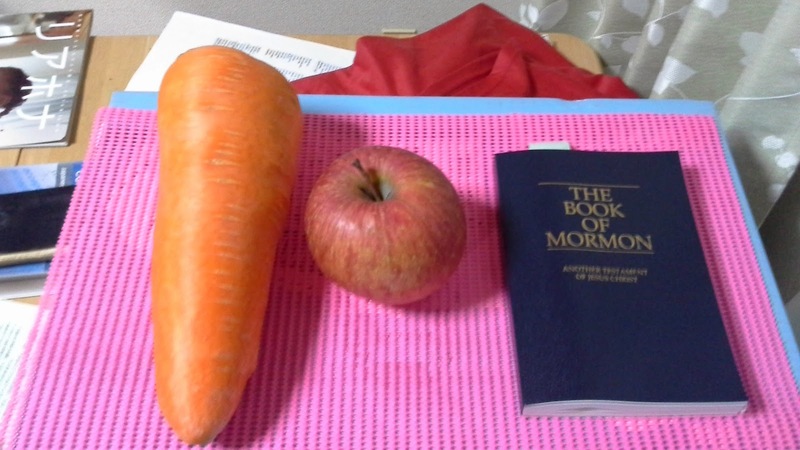 We put one by a good size apple and a Book of Mormon to give you an idea. We may be eating carrots for a while. We used one for dinner and still had half of it left for the cake. At church today, we had a short sacrament meeting, then a "fireside" before Sunday School. They introduced the stake and ward goals for 2015. They are asking us to become more Self-Reliant. We are supposed to set spiritual, financial, physical health, service, talent, and emergency preparedness goals. We have a calendar for January to set and check off our progress. One of our elders spoke in sacrament meeting. 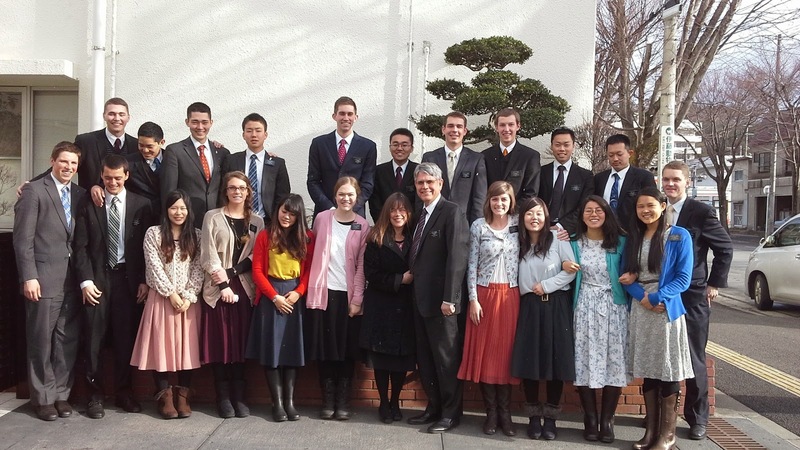 He told about when he was young, he relied on his parent's testimony, but now that he's served his mission, he has his own testimony and can be self-reliant in that aspect. His parents have sent him some money, but he has tried to not spend that so he can use it when he goes home and needs it then. There was a "coming of age" celebration held today in Sendai. It is for the young people who turned 20 last year. We thought it was going to be on Monday, but we did have one sister who is close enough to go. We will have to get a photo from her to share next time. We did see a young lady on the street dressed in her winter kimono and heading to the celebration. Sorry we didn't get a photo of her. President Smith has asked us all to read the Book of Mormon starting with 3rd Nephi and mark all the references to the Savior. And, for good measure, a photo shared from home. Our Chelsea and Lamar starting the year right at the Gila Valley Temple. Love you!